Enjoy discounts arranged exclusively for our alumni, including: books, travel, wine, and short courses. Orbit World Travel is the University of Auckland’s preferred travel provider and are delighted to offer a range of exclusive discounts on travel. University of Auckland alumni can enjoy 10 to 20 percent off long haul flights from New Zealand. Managing Director of Orbit Brendan Drury is also an alumnus and is proud to offer this great service to fellow University of Auckland graduates. 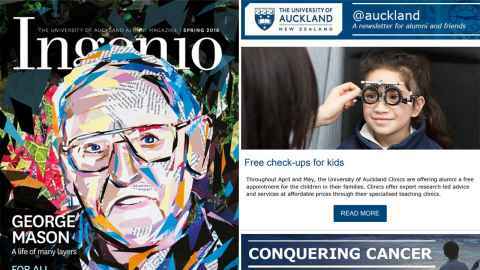 Our widely-read publications, Ingenio magazine and the @auckland newsletter, are distributed to thousands of alumni both in print and online. Auckland University Press (AUP) is a dynamic and lively scholarly publisher. With traditional strengths in history and politics, art and architecture, literature and poetry, Māori, Pacific and Asian Studies, AUP is also developing lists in science, business and health. AUP books are widely recognised for excellence: every year since 2008, the AUP has had more finalists in New Zealand’s national book awards than any other publisher. From James Belich’s New Zealand Wars to Chris Bourke’s Blue Smoke, from Allen Curnow’s Early Days Yet to Selina Tusitala Marsh’s Fast Talking PI, from The Dictionary of New Zealand Biography to Ngā Mōteatea, AUP books have changed how New Zealanders see themselves and their world. Choose from thousands of titles from AUP’s catalogue, which is available to view online. To activate your alumni discount, please download and complete the special offer order form below. Be sure to include your name, delivery address, and credit card payment details. AUP Alumni Order Form. Size: 113.8 kB. Type: PDF. Download this PDF file. Size: 113.8 kB. 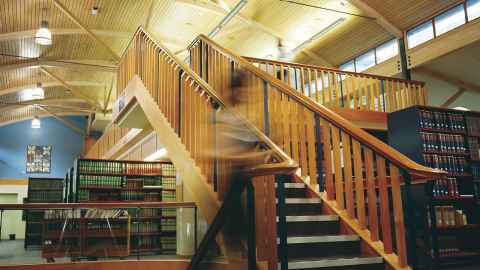 Alumni are entitled to a 30% discount on associate memberships to the University Library, ensuring continued access to knowledge and resources after graduation. For more information, visit the Alumni Library services section. 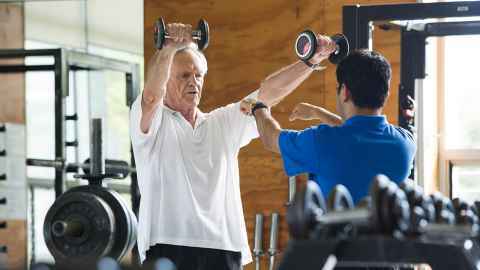 Alumni are eligible for access to the exercise facilities at the University of Auckland Recreation Centre. Both 12-month and fortnightly membership options are available. Executive Education at the University of Auckland Business School offers relevant, practitioner-focused business and management courses. Topics include accounting and finance, communication, strategy and innovation, project management, and leadership. If you have graduated from the University of Auckland or are a past participant of Executive Education, you are eligible to receive a 10% discount off all Executive Education Short Courses. To redeem the alumni discount on a selected course, navigate to the “Eligible for a discount?” section of the shopping cart, then select the “I am either a graduate of The University of Auckland, or have previously attended a Short Course” box. Please ensure you tick this box before proceeding to the online checkout. The discount is unable to be applied once the transaction has been processed. To see what courses are currently on offer and register, visit the Executive Education website. Formerly Goldwater Estate, Goldie Estate is both a celebrated boutique winery, and home to the University of Auckland’s wine science programme. 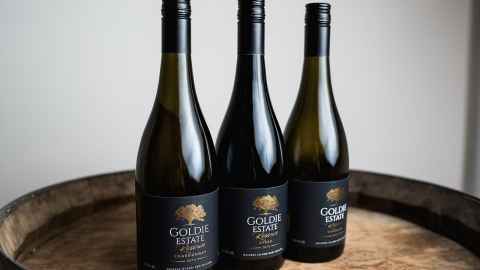 Located on Waiheke Island, Goldie Estate’s wines are produced by the same professional team that helped to make the Goldwater brand so sought after, both in New Zealand and around the world. The wines are now available for alumni and friends to purchase for personal use, with savings of up to 20% on the recommended retail prices. To redeem the discount, place your order at the Goldie Estate online store. Be sure to enter the discount code "AlumniGoldie" during checkout to obtain your preferential pricing. This special offer is only valid through the online store. Alumni cannot receive a discount off purchases made in person at the Cellar Door, or for events hosted at the vineyard. We apologise for any inconvenience this may cause. 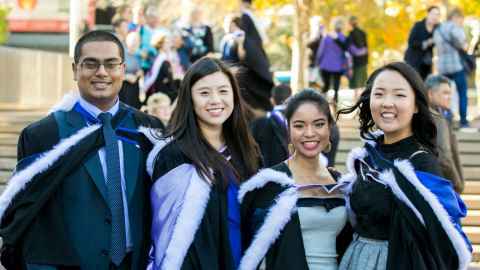 The University now offers an online service that will confirm your year of graduation and the degree that you received. Please note that the information this service can confirm is limited to your full name at graduation, degree, and the year of graduation. If you require additional information, or your academic record, you need to request official documentation. Please note also that your year of graduation is the year in which your ceremony was held, which is often the year after you completed your degree. At present the service is limited to those who graduated from the University from February 1996 to the most recent graduation.